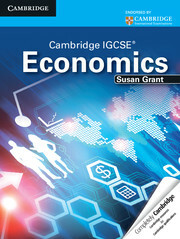 Economics plays a pivotal role in many people’s lives, and can be a firm career choice for many students studying Cambridge IGCSE, AS and A Level, or the IB Diploma. From aggregated production and fiscal policies, to competitive markets and elasticity of demand, our selection of economics resources enables students to develop their understanding of economics on a deeper, more granular level. Evaluate the economies of developing countries. Conduct thorough analyses of producer, consumer and borrower relationships. Understand foreign sources of finance, the meaning of market failure, and more about market equilibrium. 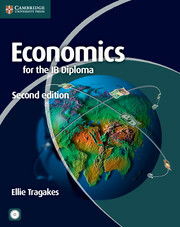 Students can use our economics books to learn more about the areas of economics they prefer, and want to take further into their careers. The economics books, guides and digital tools we provide are created with future aspirations in mind, preparing students for the wider commercial world after they study economics. 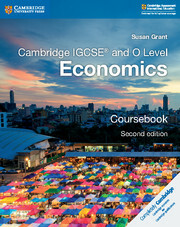 Designed for Cambridge IGCSE®, Cambridge AS and A Level and the IB Diploma, our resources are packed with real-life examples of economics tasks and procedures, enabling students to grasp this subject area and excel in their exams. Need assistance with selecting the right economics resources for your students? Get in touch with your local sales representative for more information.